TOSH Group has been present since the early eighties in the field of printing on objects with the production of automation and products for pad printing machines. In its growth strategy, TOSH has put the needs of its clients asits main guidelines for its business, listening and anticipating their needs, wishing to be recognized in the market as an ideal trusted partner for pad printing. 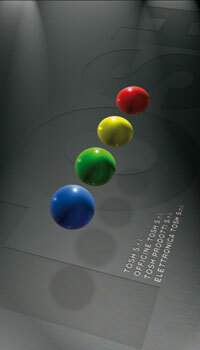 TOSH, with the production of its LOGICA SERIES machines, hasTOSH, with the production of its LOGICA SERIES machines, has imposed a 100% Italian, qualitative and technological standard recognized the world over, significantly contributing to the evolution of the process of pad printing on objects as the most advantageous solution in the various processes of decoration, in spite of already established printing techniques such as silk screening and hot press printing. The natural propensity for technological innovation, that characterizes TOSH in its choices, has always conferred this firm with an indisputable place of leadership in the field. Offering cutting edge solutions aimed toward creating concrete, appreciated advantages, especially in economic terms, is the objective that TOSH places before itself each and every day in order to satisfy the expectations of its clients, aware that “the success of its clients equals its own success”. TOSH 100% Italian production, ranges from the construction of small pad printing machines up to the manufacture of totally automated plants, made to order, to satisfy the particular needs of our clients. Our design and manufacture, performed entirely in house, sustained by an original and innovative vocation of choices, has permitted TOSH to develop a range of machines that has reached more than twenty different print heads today: differing in the intensity of the print and their operating principles, they may be divided into two series: one suitable for applications where higher production tempos are sought while the other satisfies the broadest variation of flexible operational requirements, anticipating and conditioning marketing trends. 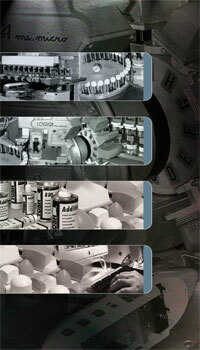 In the same way, from the very beginning of its operations, the approach undertaken by TOSH could not have been different regarding all of the consumables linked to the technique of pad printing. Thanks to constant research, TOSH has succeeded in developing and producing in its laboratories a range of inks, ink additives, pads, plates, blades, blading rings and whatever else necessary to obtain the highest quality printing possible from a pad printing machine. The origin, the principles and fields of application. Pad printing is a printing technique that permits the decoration or personalization of objects that are of different shapes, sizes or materials in one or more colours. Pad printing is often compared to silk screening or hot press printing and frequently to offset printing; for however much the results of such techniques may seem similar, pad printing constitutes a process unique and diverse from all others. Why pad printing is chosen? – Per il vincolo della forma e del design del pezzo da stampare. – For constraints of shape and design of the piece to be printed. – To reduce production costs and realize greater market competitiveness. – To assure an elevated quality of aesthetic finish in the product. 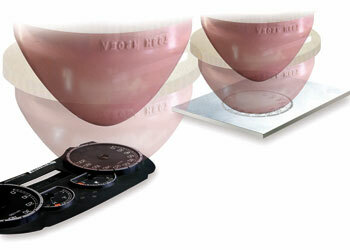 – For the simplicity of the introduction of decorative processes in both large and small production scales.